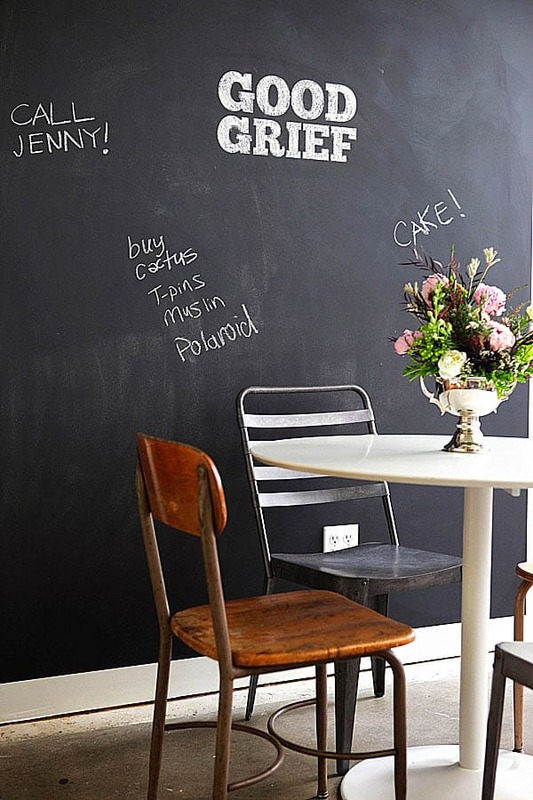 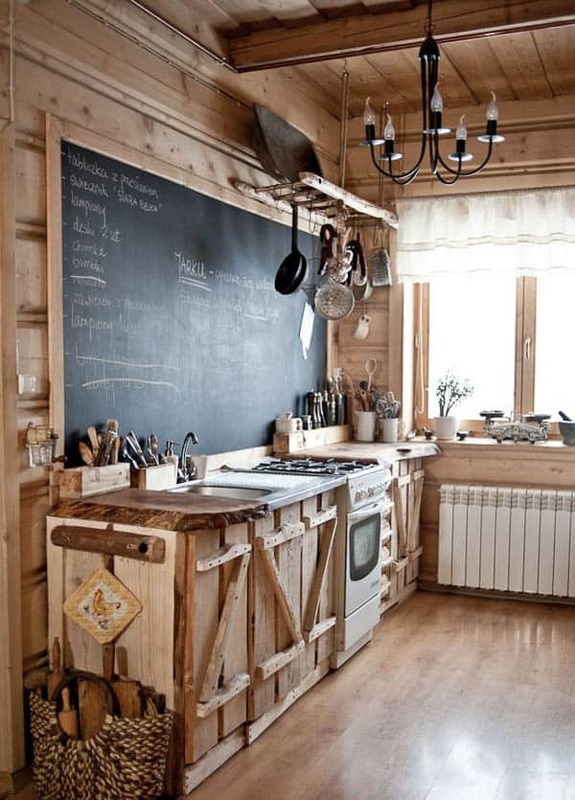 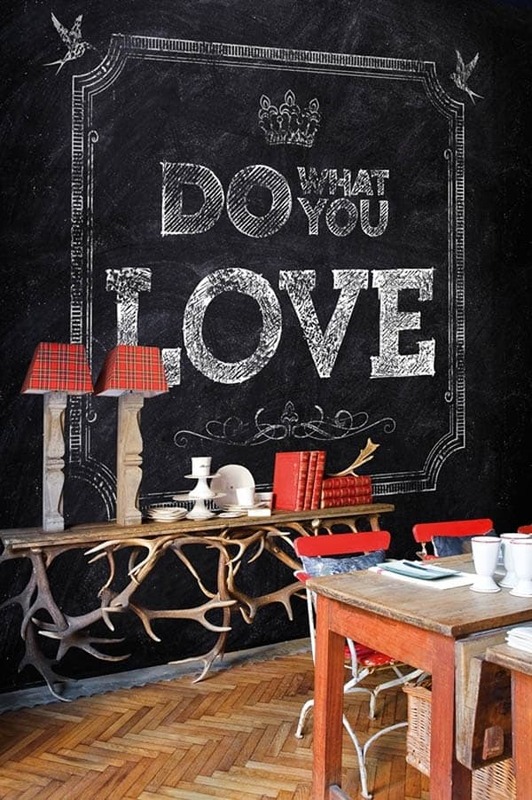 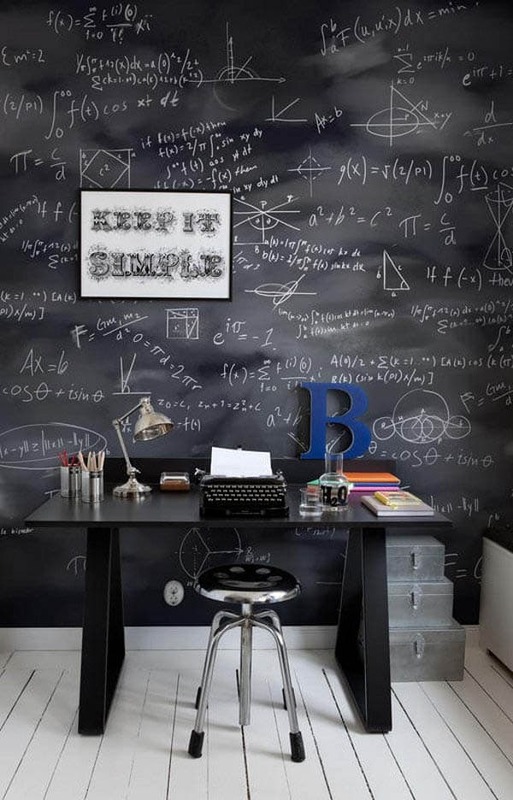 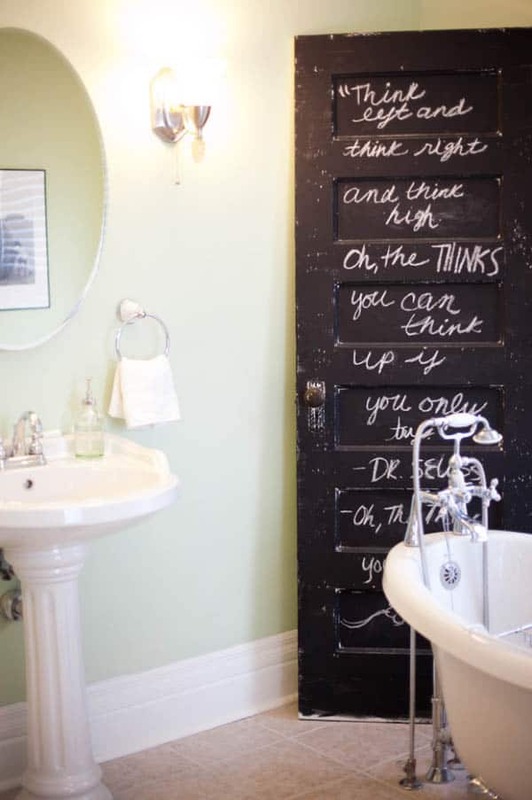 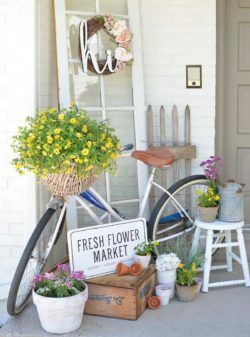 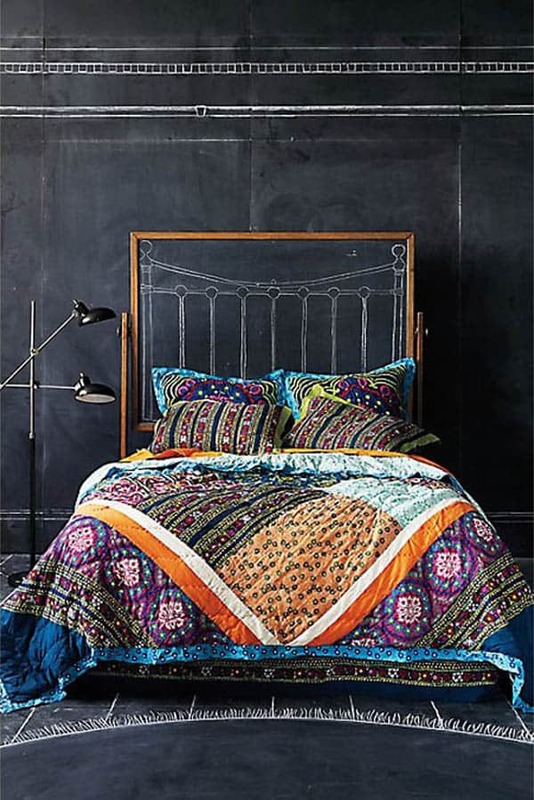 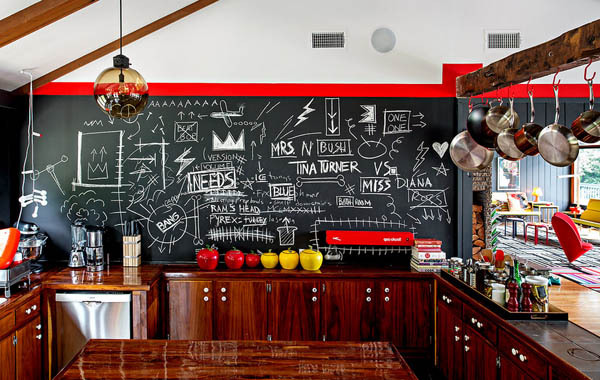 Chalkboards are not just for use in school rooms, they can really add some fabulous DIY possibilities to your home. 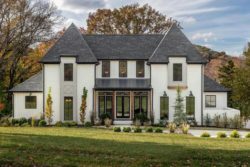 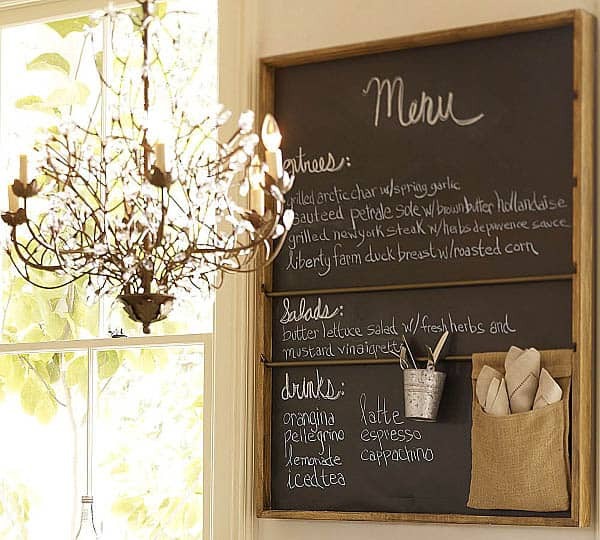 Chalkboard paint is a special type of paint that can be purchased from craft and home improvement stores and dries to a wonderful chalkboard finish. 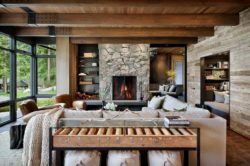 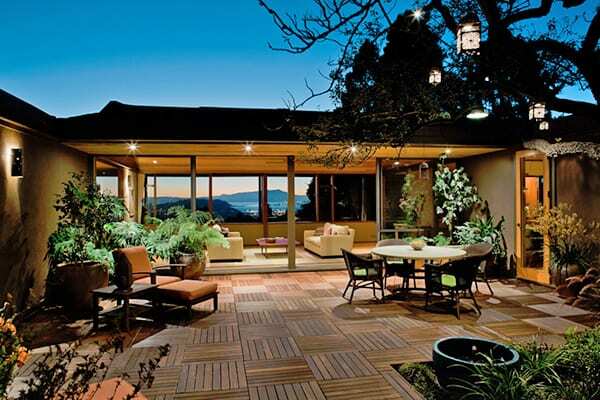 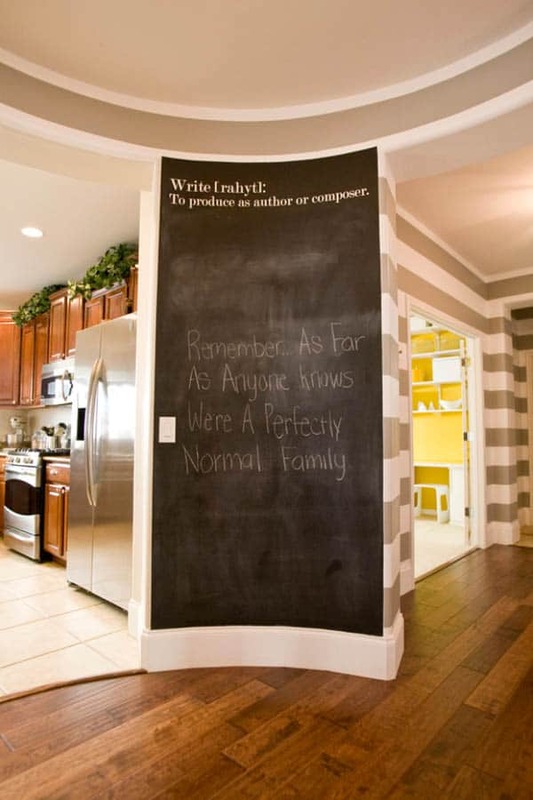 They are an excellent way to infuse personal flair into any spaces within your home. 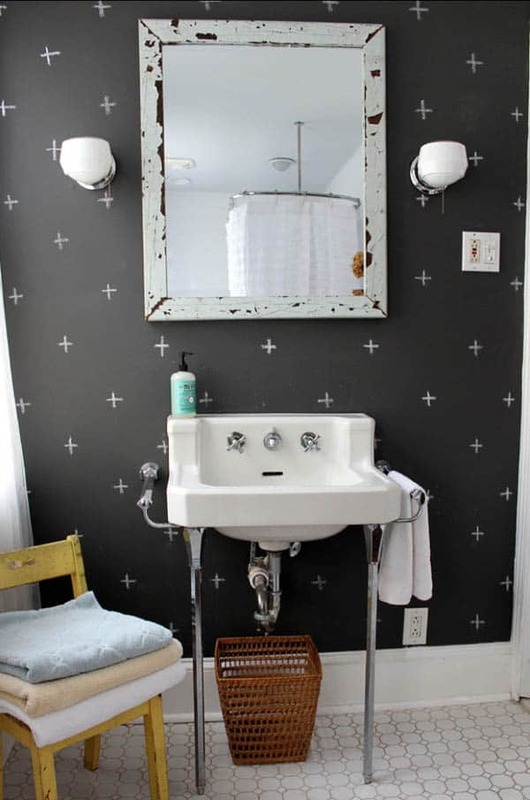 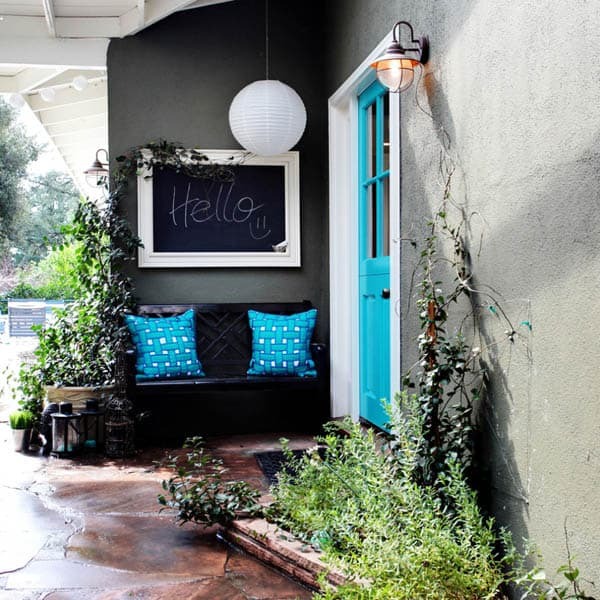 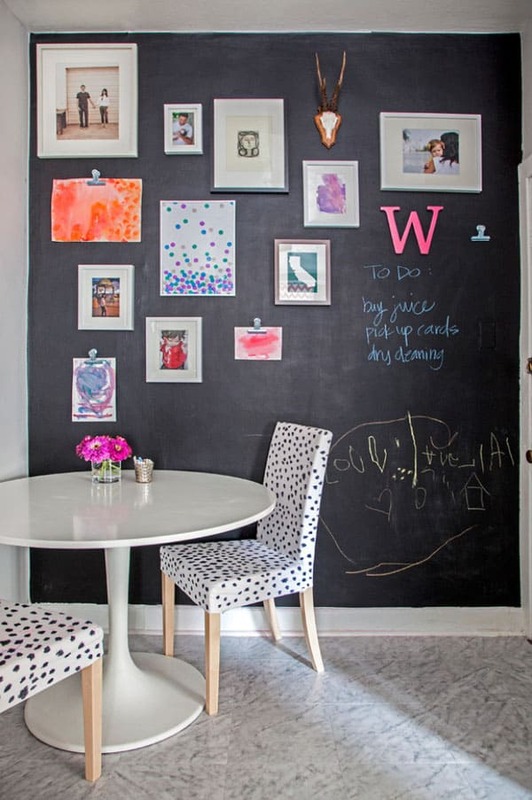 The chalkboard paint does not necessarily have to be black. 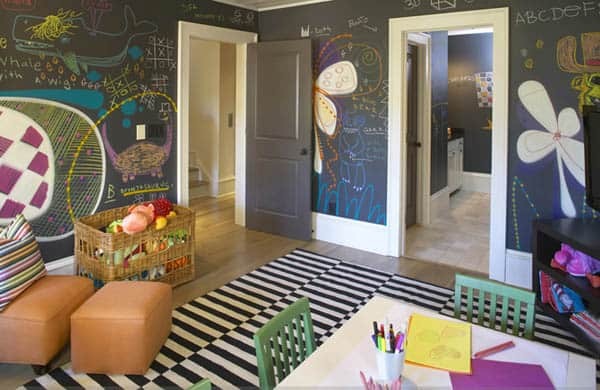 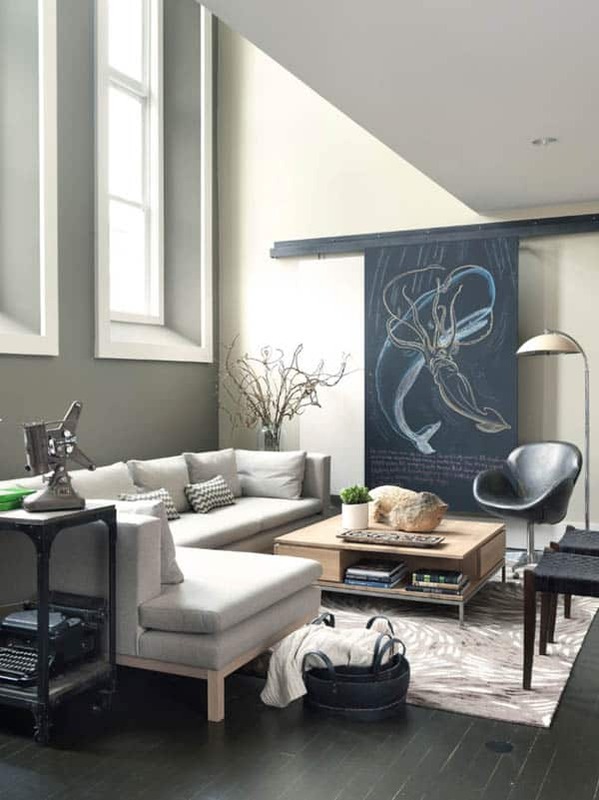 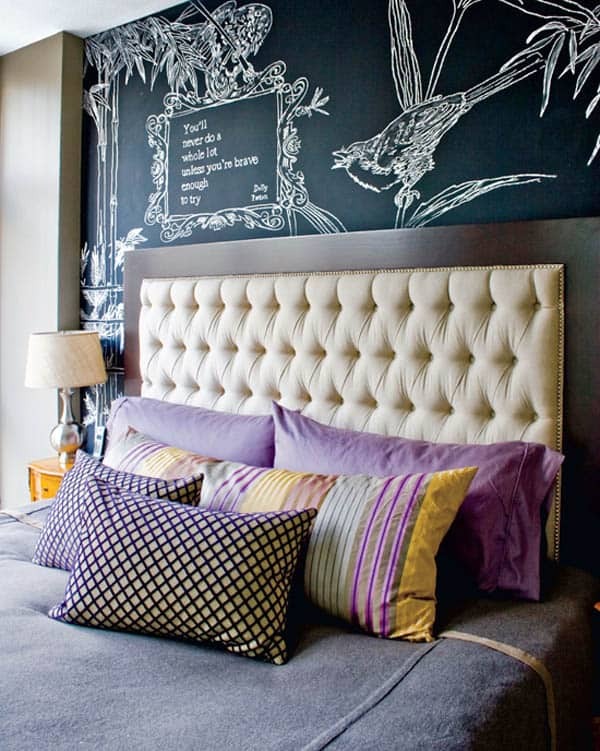 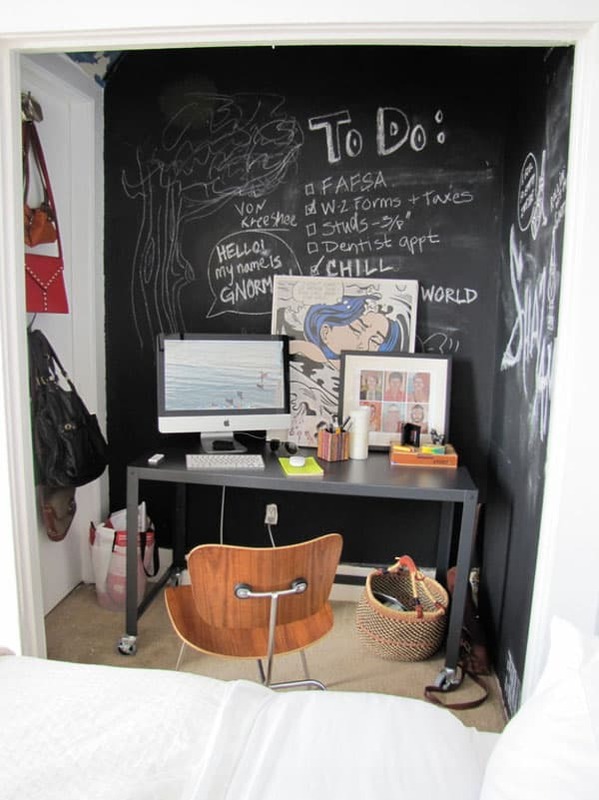 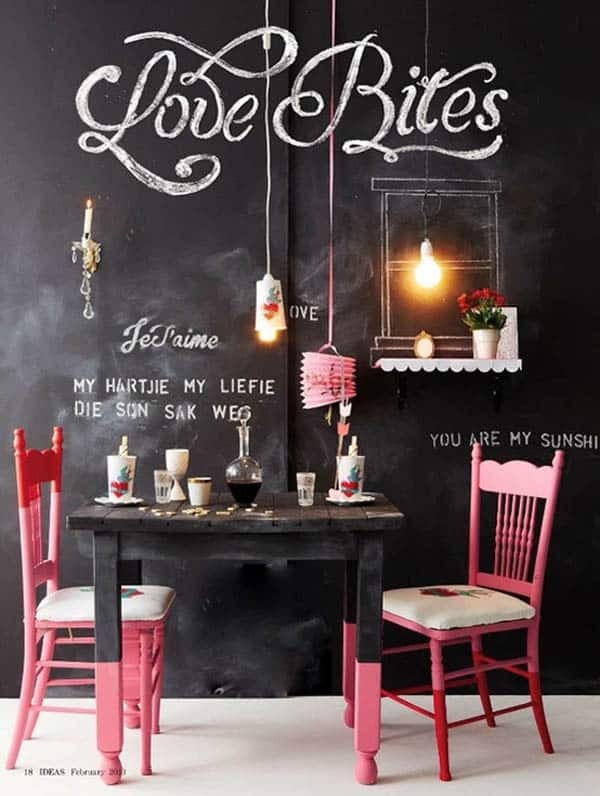 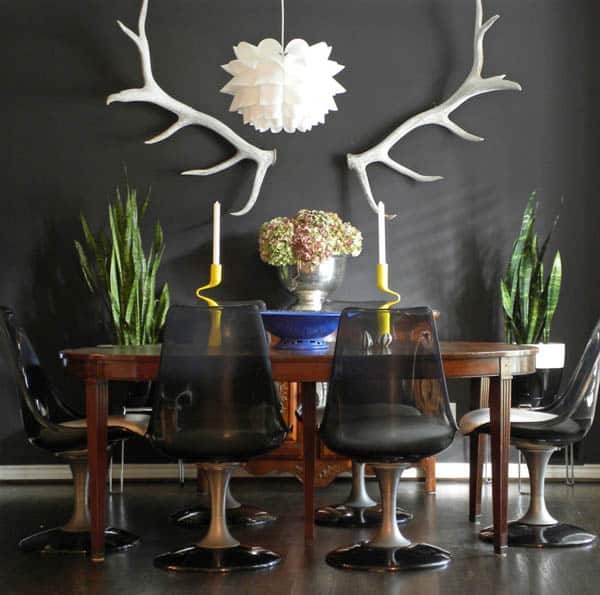 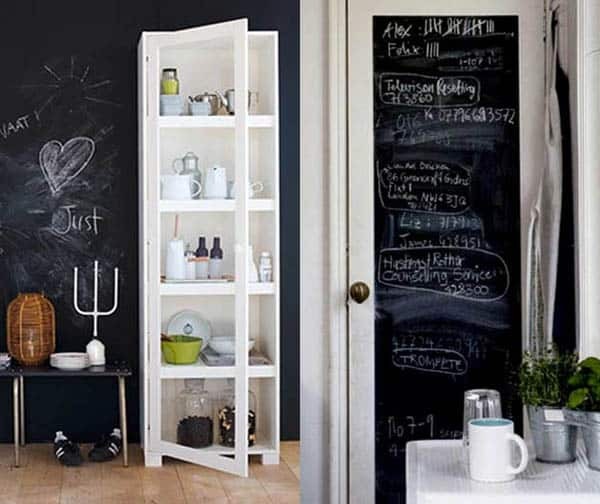 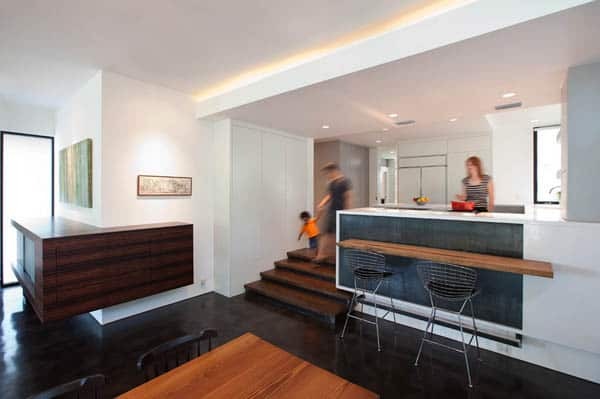 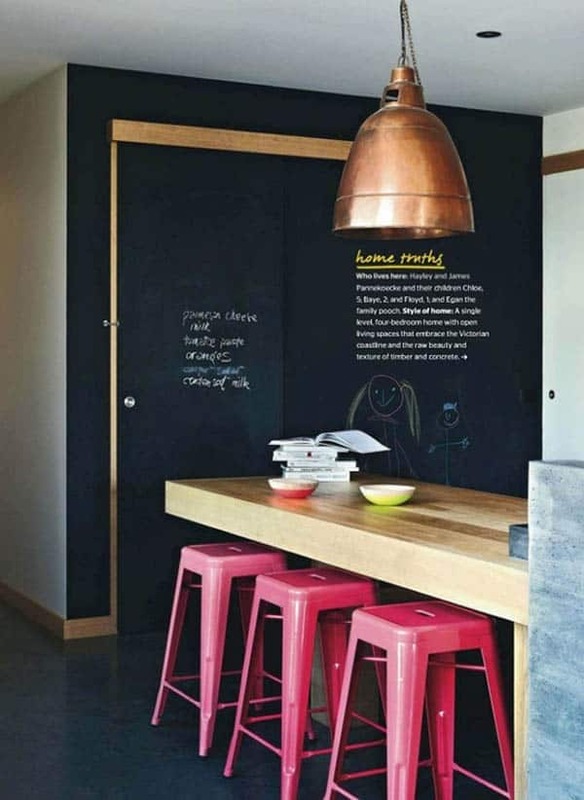 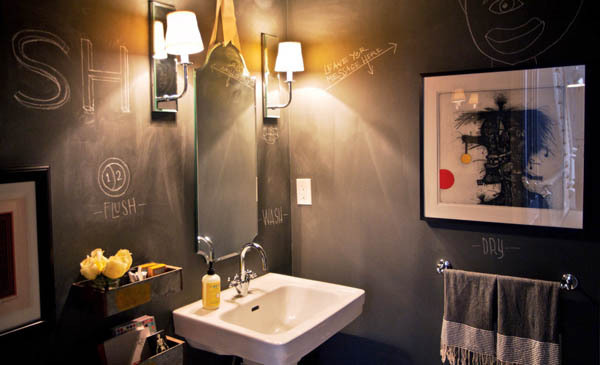 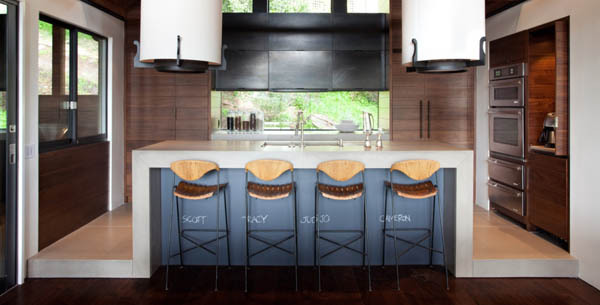 There are several suppliers that offer a large selection of color chalkboard paint to fit your taste and design needs. 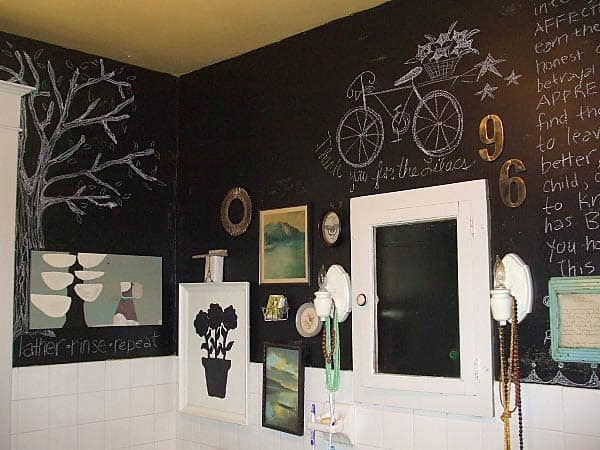 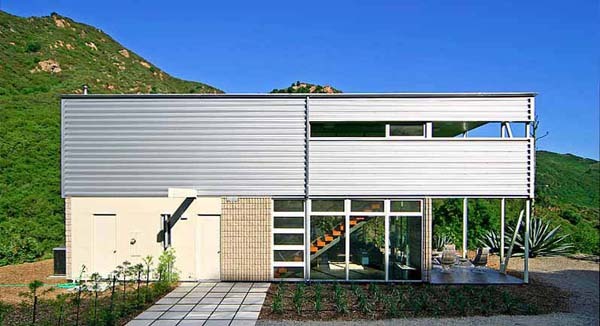 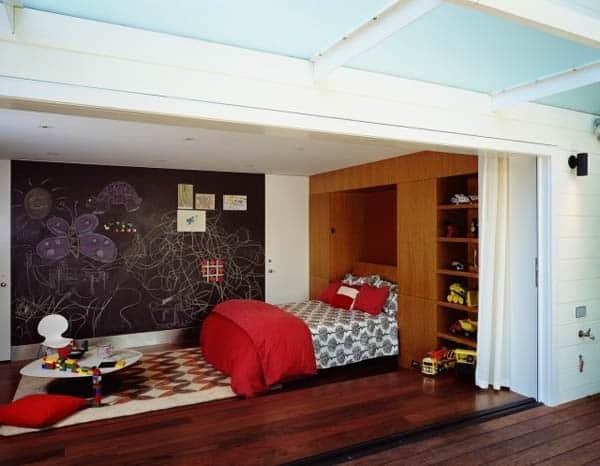 There is also magnetic paint that you could paint underneath to really have fun with your design. 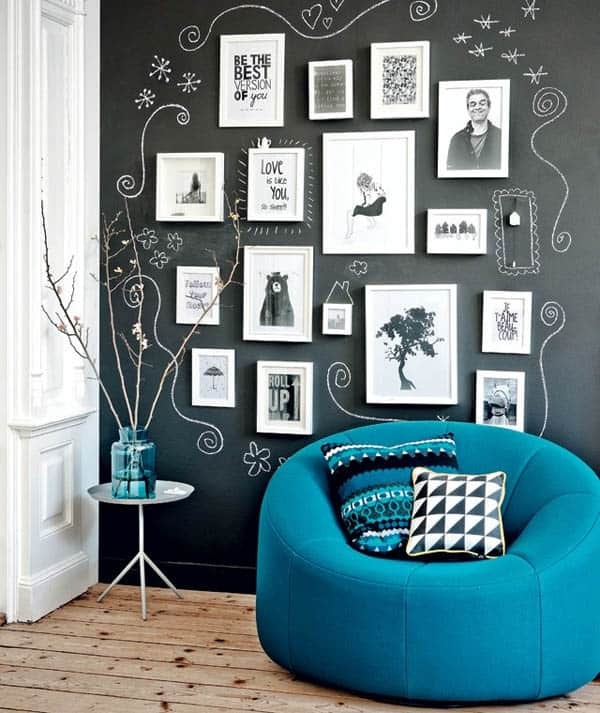 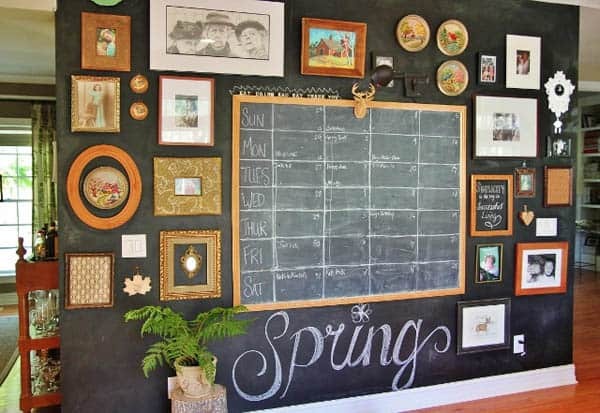 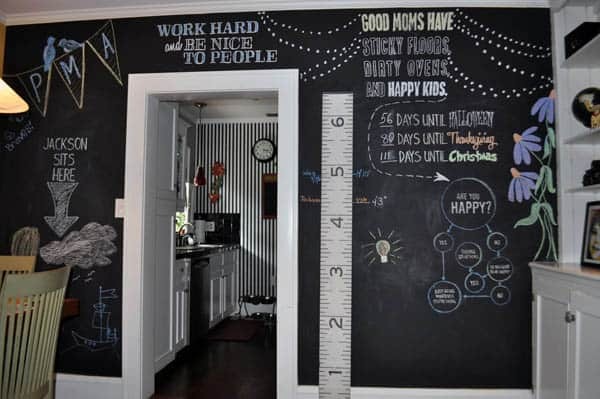 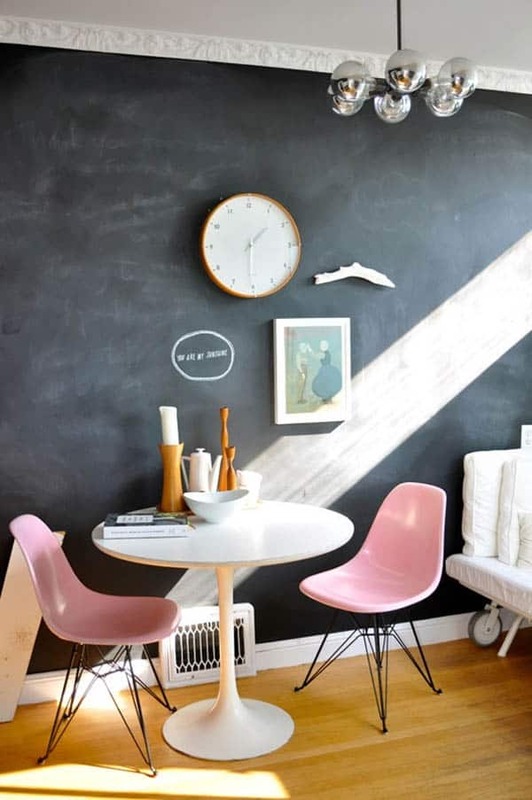 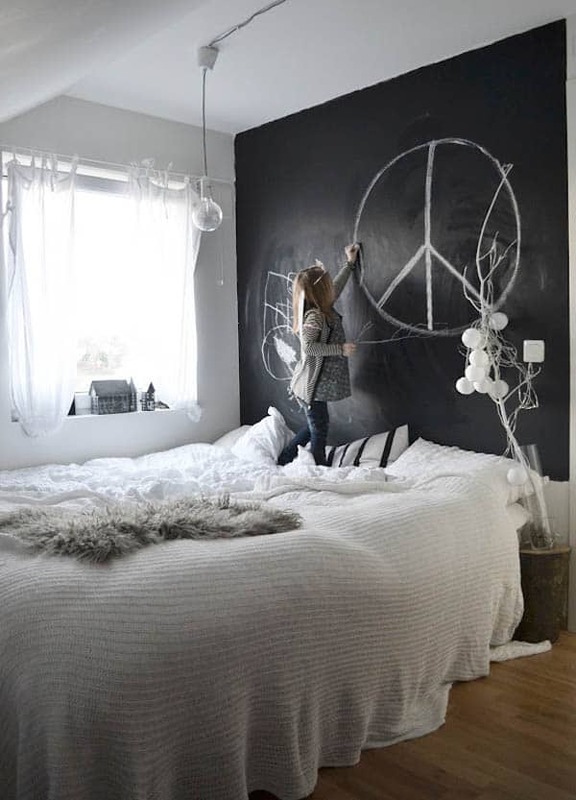 Have a look at the creative collection of photos below for inspiration, they all show that chalkboard walls can add a lot of charm to many spaces around the house. 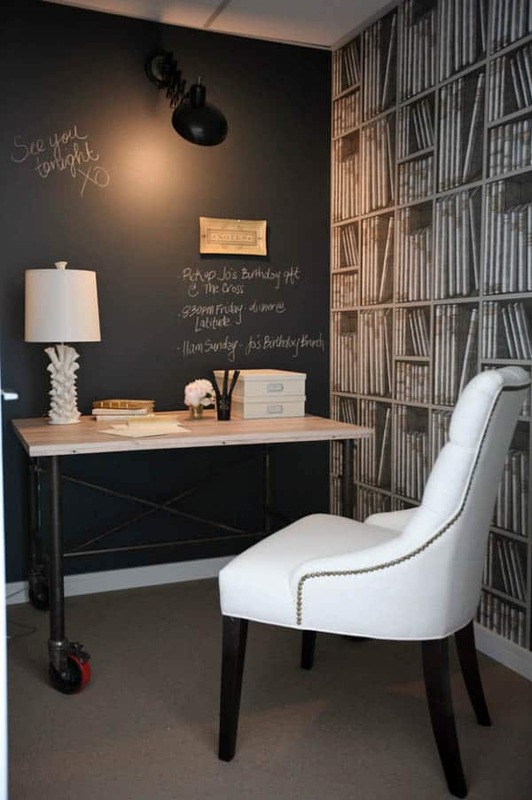 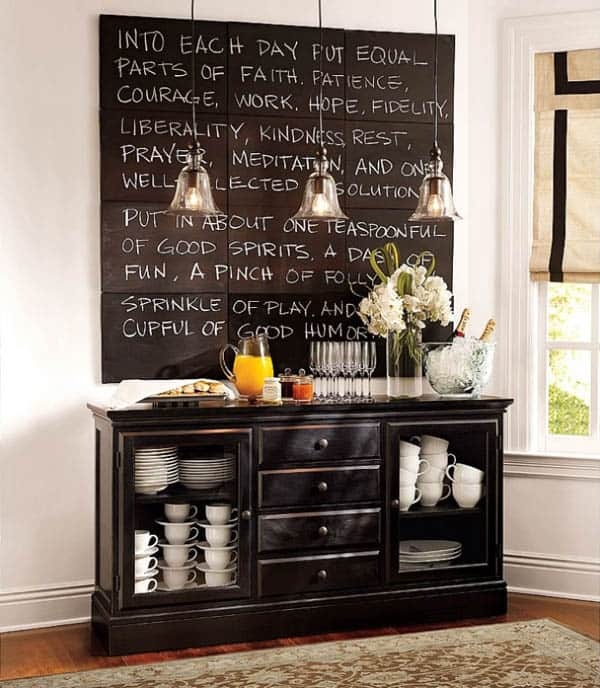 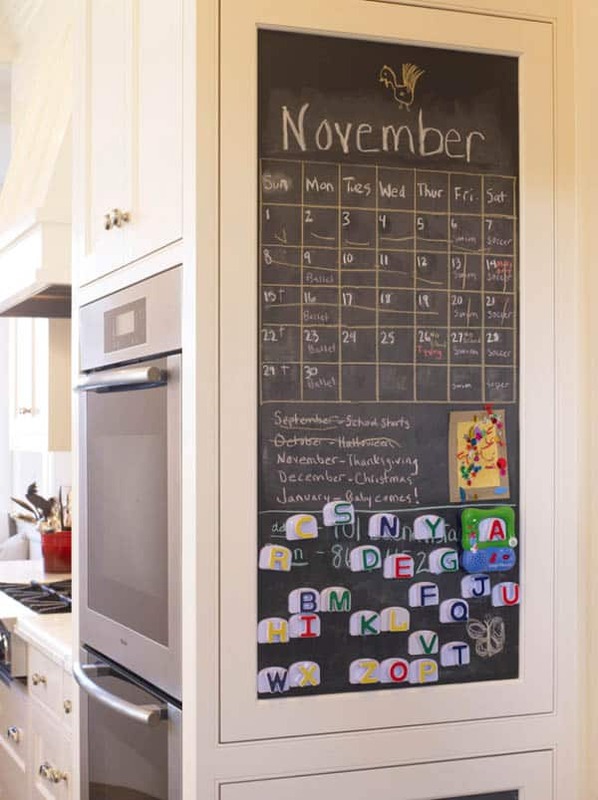 Pottery Barn offers magnetic chalkboard tiles to create an all-purpose family organizer.